Unlike most hotels when you use a private villa as the wedding venue typically not only does the villa have there own staffed villa team for taking care of the needs of the guest that stay at the villa but the Event company will also in addition bring their own specialized team of Helpers and Planner, to not only coordinate but help the day run smoothy. This team can be quite significant and invaluable for a large event which can include Bar tenders, Chefs, Servers, logistic teams and others key members on the day before and after. Its for one of these reason why villas are becoming more and more popular as there less restrictions put in place unlike hotels. 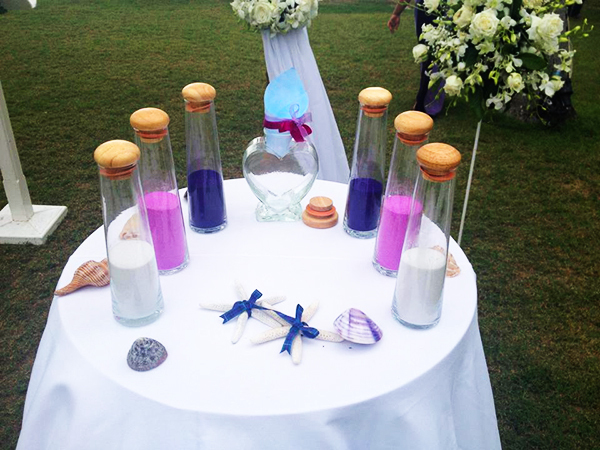 Are you looking at options of having your wedding in a overseas destination? Well your not alone the market for 'Destination Weddings' is not only an affordable option but as the industry is booming more and more options become available. Many Brides to be, typically decide that instead of having the wedding in their home countries such as Australia or the UK as an example, where costs are increasing year in year out and with limited venues and increasing difficulty in getting availability at busy periods. Brides who have decided to go the route of a destination wedding, where pleasantly surprised at how affordable the option of it all can be. 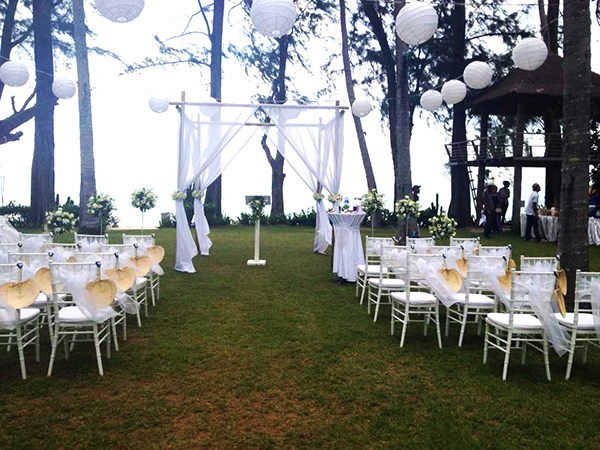 Koh Samui is no exception to destination weddings and has easily becoming one of Thailand’s most popular spots. 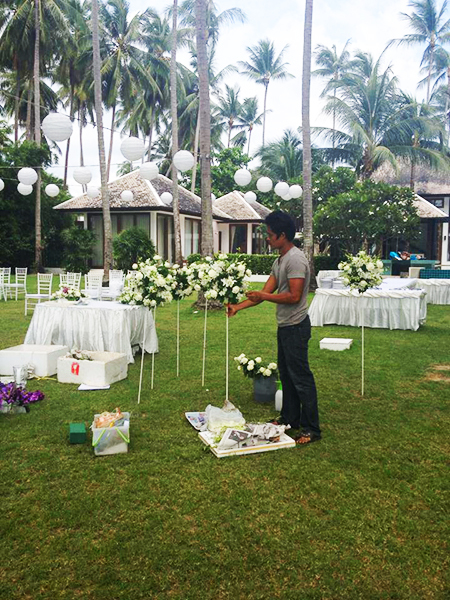 Abundant beautiful beaches, stunning scenery and and increasing number of stunning private villas that cater to weddings. One other advantage when you work with a events team at a villa. Is the Wedding planner will work hand in hand with the couple even before you arrive and can create your own customized wedding and theme. And as with most luxury villas there are plenty of spaces and unique design at the venue and either a beach or stunning sea views, allowing you to gain inspiration and decorate the villa with flowers, colors that blend with the villa own natural surroundings such as Orchids and Frangipanis flowers and plants in the gardens.